Probably the most famous of Middle Eastern sandwiches is the falafel. Several fried falafel balls served inside a pita pocket, topped with Israeli salad and drizzled with tahini. But equally popular in the region (although somewhat less known outside of it) is the sabich sandwich. It's an Iraqi, Israeli creation that features fried eggplant and hard boiled eggs stuffed into a pita pocket along with Israeli salad, hummus, tahini and an amba (mango) sauce. To the uninitiated, it may sound a bit odd but the flavor combination is a real winner. The word sabich comes from the Arabic word for morning and it's thought the sandwich got its name because it was a typical Iraqi Jewish breakfast item. Because no cooking is allowed on the Sabbath, the Iraqi Jews ate this sandwich made of cold, pre-cooked items. These days, it's eaten all day and is commonly sold by street vendors as fast food in open-air markets. 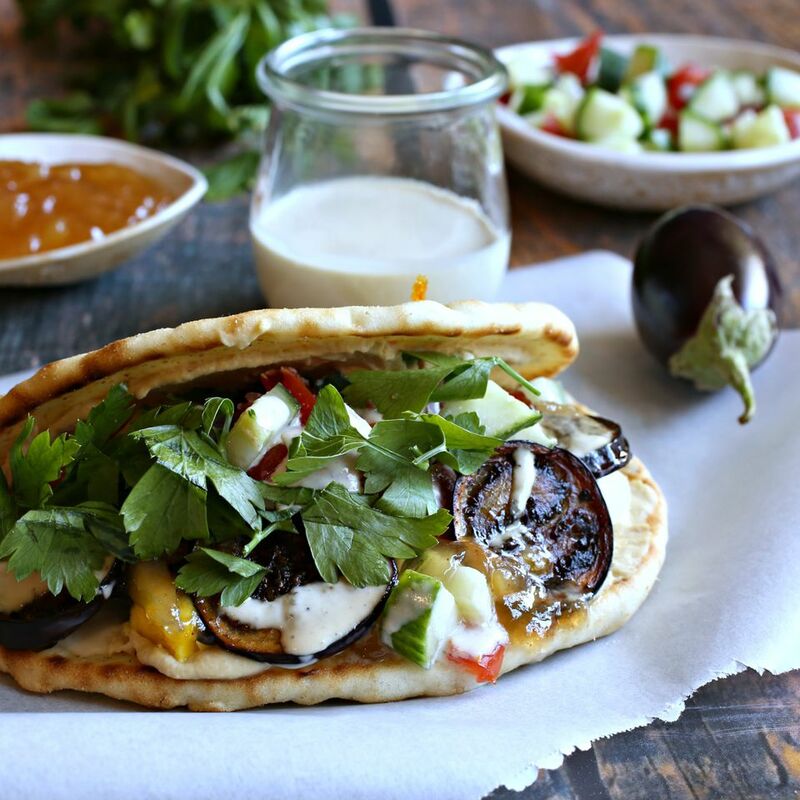 Slice the eggplant into rounds and fry in the oil for about 5 to 7 minutes on each side or until golden brown. Assemble the Israeli salad and stir together the tahini ingredients. To assemble the sandwiches, spread the hummus evenly into the pita pockets, stuff with the fried eggplant rounds and the sliced hard-boiled eggs. Spoon in the Israeli salad and drizzle with the tahini sauce and amba sauce. Amba is a spicy mango sauce that can be found in specialty or Middle Eastern markets. However, mango chutney is similar enough and available at most big grocery chains.